What is the Fishkill Supply Depot? Our American Revolutionary War is remembered by its heroes and participants: George Washington, Betsy Ross, Benjamin Franklin, Von Steuben, Lafayette, Thomas Jefferson, William Knox. We also remember places where our fight for independence occurred: Bunker Hill, Saratoga, Trenton, Princeton, Yorktown, and Valley Forge. But who mentions the little known and too often forgotten Fishkill Supply Depot and Encampment where material and supplies to keep the Continental troops fighting; were built, collected and distributed, where British soldiers were imprisoned and Americans received hospital care, where Revolutionary War soldiers served and over 300 were buried in unmarked graves. WE REMEMBER! Introducing the Fishkill Supply Depot - little know, long forgotten, yet remains "America’s Last Great Revolutionary War site." 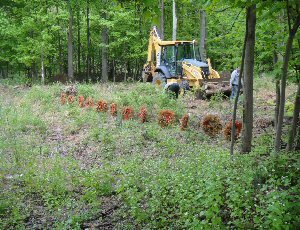 In May 2013, earth-moving equipment is brought on-site at Crossroads to clear land for development while wreaths from our annual WAA event in December still stand proud marking the graves of Fishkill Revolutionary War soldiers. 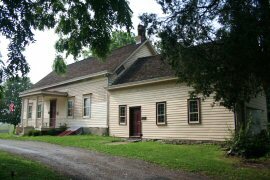 The Van Wyck Homestead (Wharton House) served as headquarters of the historic Fishkill Supply Depot and is the only remaining structure. 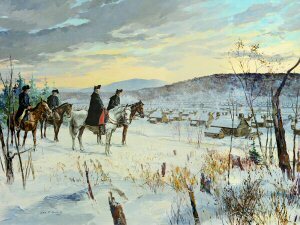 "The Last Cantonment 1783" by Hudson Valley artist John F. Gould is a good depiction of what the depot would have looked like during the Revolutonaray War. The last 20 acres of open space within the National Register-designated site are proposed for development that would destroy archaeological features and artifacts reported in earlier studies. New archeological studies were recently completed in 2009 with striking findings confirming the significance noted here. The two remaining large open space parcels, currently for sale, represent the only remaining intact vestiges of an important part of the nation's founding. We and others strongly encourage the town to consider how it can help preserve and protect this important historic site. The opportunity to achieve this worthy patriotic goal is not likely to ever come again. 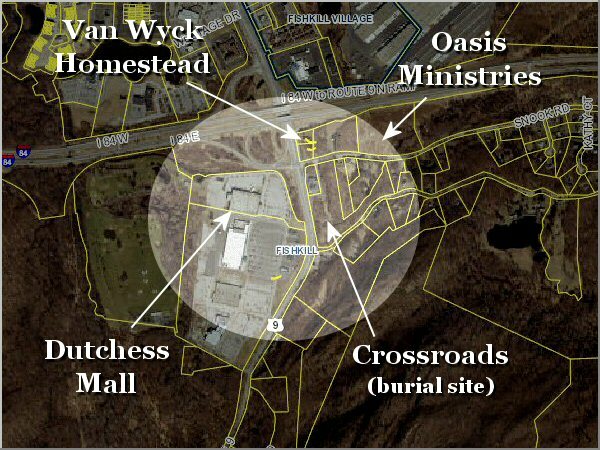 The preservation of the Fishkill Supply Depot as a historic resource is consistent with the current comprehensive plan for the Town of Fishkill in which the southeast quadrant at the intersection of I-84 and US-9 is specifically addressed. We encourage you to show your support and help save this sacred site. Hold off further disturbance and development of the properties within the 70 acre Fishkill Supply Depot site. Pursue the support of the most suitable entity, whether it be a private organization, the town, state or federal government, to purchase properties within the Depot site which are under the imminent threat of development. 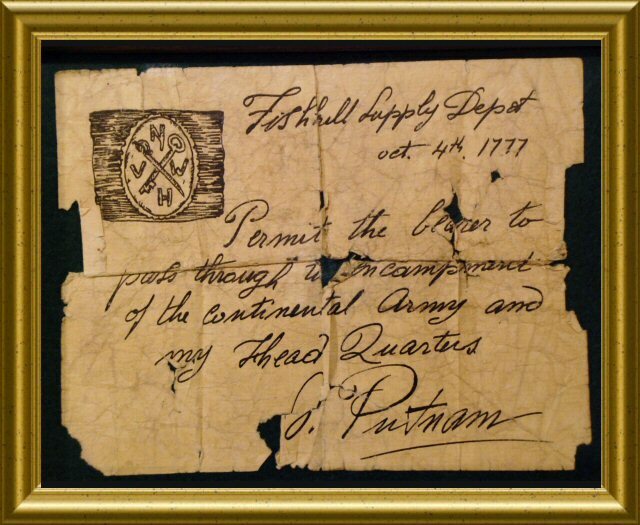 Pursue assistance to develop an appropriate plan to preserve, restore and maintain the Depot as a Revolutionary War site that is central to nearly all the other recognized Revolutionary War sites within the Town of Fishkill as well as Dutchess County.